17 U.S.C. § 106. But “a person holding a non-exclusive license is not entitled to complain about any alleged infringement of the copyright.” HyperQuest, Inc. v. N’Site Sols., Inc., 632 F.3d 377, 382 (7th Cir. 2011). In order words, to have the requisite standing to sue, a plaintiff must exclusively own one of the enumerated rights listed above. Consequently, enforcement actions are limited to the specific rights exclusively owned. For example, a plaintiff who owns the exclusive rights to perform a literary work can only sue to enforce that specific rights. Such a plaintiff, cannot go after alleged infringers making unauthorized copies of the literary work. Most federal courts have concluded that Congress did not intend for the “right to sue” to be a separate right because it was not included as a divisible right under the Act. 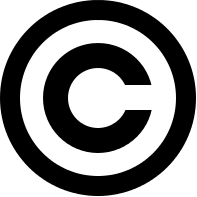 The Copyright Act does not contemplate any transfer other than an ownership interest along with the enumerated six exclusive rights. In Righthaven v. Democratic Underground, the imprudence of allowing assignments of such bare rights were made clear. 791 F. Supp. 2d 968 (D. Nev. 2011) In 2011, Righthaven LLC sued Democratic Underground for a five-sentence excerpt of a Las Vegas Review Journal news story that a user posted on the forum, with a link back to the Journal’s website. At the same time this lawsuit was going on, Righthaven had developed quite the litigious reputation. They brought over 200 similar suits. But Righthaven never created, produced, or distributed any content. Instead, all they did was scour the internet looking for Review-Journal stories posted on blogs and online forums. They brought these suits under a “right to sue” assignment. Righthaven never actually owned an exclusive right to any of the copyrighted materials. They were copyright trolls. The court stated “Righthaven and Stephens Media have attempted to create a cottage industry of filing copyright claims, making large claims for damages and then settling claims for pennies on the dollar, with defendants who do not want to incur the costs of defending the lawsuits.” Righthaven, LLC v. Democratic Underground, LLC, No. 2:10-cd-1356-RLH-GWF (D. Nev. Apr. 14, 2011), ECF No. 94. Judges who are confronted with these bare “right to sue” cases usually award significant attorney fees to the prevailing defendants, even at the motion to dismiss phase. Parties intending to convey enforceable exclusive rights to a copyright must shore up their agreements to make the intent clear. And merely sprinkling the “exclusive license” lingo within a licensing or assignment agreement doesn’t suffice. See HyperQuest, Inc. v. N’Site Sols., Inc. 632 F.3d 377 (7th Cir. 2011). Thus, an exclusive right must be exclusive. An assignment is not exclusive if some form of right to limited use and distribution to other third parties is reserved. In the copyright world, the “substance and effect” of any written assignment must reflect a true, even if temporary, transfer of complete ownership of a copyright interest. Overly aggressive plaintiffs who ignore this simple but important axiom of copyright law, do so at their own peril. I have an overly aggressive defendant who has lots of money, is an internet pirate, has no exclusive or beneficial rights and want to be a defendant real bad!